EXTRACTS FROM TWO ARTICLES: There are plenty of multinationals, too, such as Shell - which has extensive interests in Bolivia's lucrative gas fields. Morales nationalised a pipeline part-owned by the oil giant - not something the multinational took lightly. Enter Dwyer, infused with a sense of derring-do gleaned probably from the movies. He became associated with an unholy mix of right-wing nationalists and fascist 'freedom fighters'. And, conspiracy theorists take note, he met some of these unsavoury characters while working as a security guard for Shell, through a security firm employed on Shell's Corrib project in Mayo. Ironically, some of the media has been fretting lately about alleged republican paramilitary infiltration of the anti-Shell protests in Mayo, but a more serious issue appears to be right-wing paramilitary infiltration of Shell's security operations (see The Phoenix 8/5/09). Coincidentally, Shell has also been having difficulties in Bolivia as a result of Morales's decision last year to nationalise the country's main gas pipeline company. As a result of the Dwyer affair, some light has been shone on the fact that there is now in Ireland a large number of private security operatives supplementing and, in cases such as the Shell operation in Mayo, working closely with the Gardai. Many of these security men are from eastern Europe and, worryingly, security checks on foreign security operators working in Ireland are lax to say the least. The Private Security Authority issues licenses to firms and individuals involved in security work, but a spokeswoman admitted last week that it merely seeks a criminal record certificate and does not follow this up with any background checks for up to one-third of the 22,000 security operatives it has licensed. Royal Dutch Shell is completing the last major offshore gas well at the Lunskoye platform in Russias sub-Arctic Sea of Okhotsk preparing the way for full production capacity of liquefied natural gas (LNG) at Sakhalin II, one of the worlds largest and most challenging integrated oil and gas projects. Eight people have been arrested for public order and trespass offences during a protest at the Shell compound at Glengad, Co Mayo. Gardaí said over 100 protestors took part in the demonstration and attempted to gain entry through security fencing. Protestors said over 200 people from the local community and the Rossport Solidarity Camp Summer Gathering were involved. They claim Shell does not have planning permission for the compound. News that the oil giant had overstated reserves in submissions to the US regulator, the Securities & Exchange Commission, led to the departure of Sir Philip Watts, the chief executive, and Walter van de Vijver, Shell's then exploration chief. It came as a serious shock to investors and left Shell's reputation  and share price  in such tatters that there was speculation it would be taken over by a resurgent BP. The FSA subsequently fined Shell for committing market abuse and breaches of the listing rules after making misleading statements between 1998 and 2004. My two pence of observations are as follows. Court documents allege that there was "a pattern of collaboration" between Shell and the military "to violently and ruthlessly suppress any opposition to its exploitation of oil and natural gas resources in the Niger Delta." The need to adapt Shell to a lower oil price environment, partly through cutting thousands of jobs, is now Mr Voser's agenda. "Too consensus- oriented," he called a company whose culture he also hopes to change. An Amsterdam court on Friday paved the way for pay-outs to commence in a settlement of Royal Dutch Shells oil and gas reserves misreporting scandal. LONDON, May 30 (Reuters) –Royal Dutch Shell Plc plans to cut 350-450 senior management roles as it restructures to cut costs and improve operational performance, according to a website to which Shell employees post internal information. The cuts represent almost 30 percent of Shell’s ‘Senior Executive Group’ layer of management, John Donovan, the operator of the Royaldutchshellplc.com website said. LONDON, May 30 (Reuters) – Royal Dutch Shell Plc plans to cut 350-450 senior management roles as it restructures to cut costs and improve operational performance, according to a website to which Shell employees post internal information. The cuts represent almost 30 percent of Shell’s “Senior Executive Group” layer of management, John Donovan, the operator of the Royaldutchshellplc.com website said. 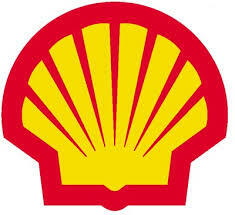 What on earth happened under the van der Veer leadership that has got Shell into its present mess? On Tuesday we published the article below. It was subsequently used as the source of multiple news reports around the world, including the lead front page article of the Financial Times newspaper published the following morning, Wednesday 27 May.